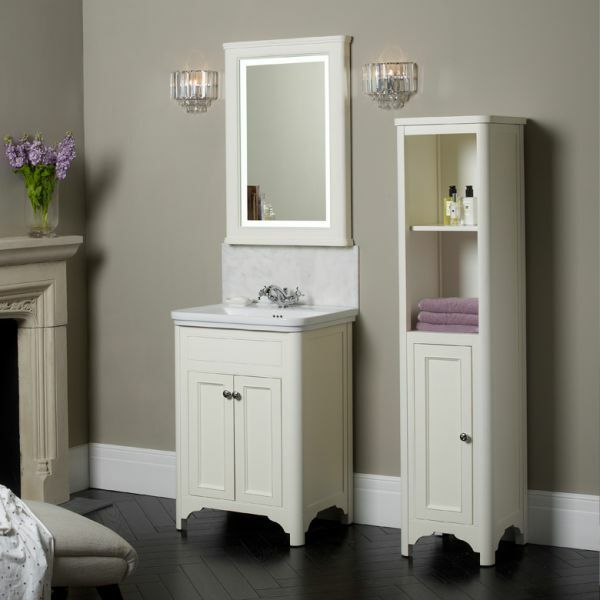 The Langham tall boy is designed to coordinate with your Langham freestanding unit and basin. This classic storage unit features open shelving to the top and additional shelving behind the closed door towards the bottom. 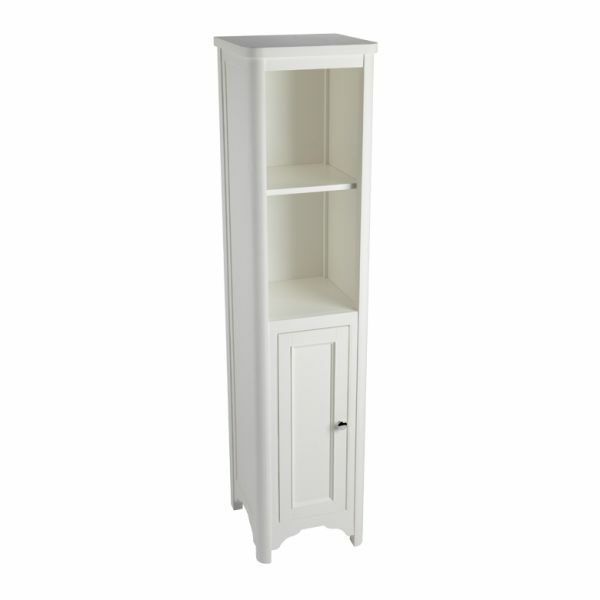 The Langham tall boy will look right at home in your bathroom.